ngland's attempt to locate a northwest passage and the subsequent discovery of "gold" in the Arctic attracted the attention of rival European nations. Spain in particular was interested, initially because it feared the expeditions might infringe on Spanish territory, and later because it did not want England to compete with Spanish control of a large portion of the world trade in precious metals. In 1578, King Philip II of Spain sent Don Bernardino de Mendoza to London to replace the Spanish ambassador, who had been imprisoned for his role in a plot to drive the English out of Ireland. Understandably, the English were suspicious of Spain's new representative. On occasion his coded correspondence with King Philip was seized and decoded. However, other letters did arrive in Spain. 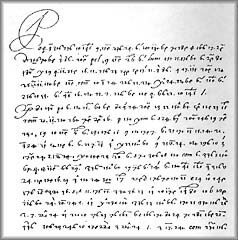 Through recent examination and deciphering of these letters, it has become clear that Mendoza had an informant on Frobisher's 1578 voyage. 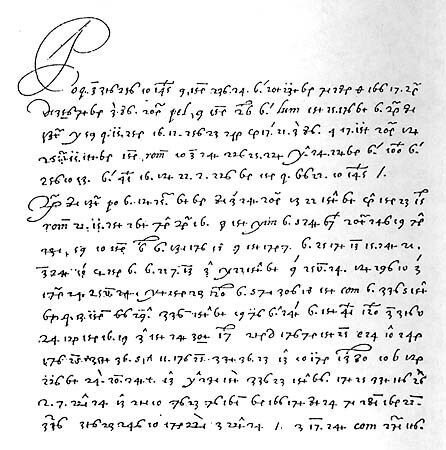 In a letter to the king dated October 7, 1578, Mendoza reported that Frobisher's ships had returned to England, but that he had not heard from his informer on the voyage. Yet his November 15 letter provides a relatively accurate summary of Frobisher's activities on that expedition. A chart of the voyage and ore samples were smuggled to him. Who was this spy? The main clue to his identity is found in a statement that this man took part in one of the large assays in London. Robert Denham, Frobisher's chief assayer on the third voyage, was the only man who was both involved in the test in London and a member of the 1578 expedition. Yet his motives for spying are unclear. He was a well established London goldsmith with an annual pension of £50 for his work with the Frobisher enterprise. He was Protestant. He risked death if his deceit had been discovered. Possibly he was a double-agent working for the Queen to plant misinformation. Another theory has pointed the finger of suspicion at gentleman assayer and mercenary Edmund Stafford, a shadowy figure of whom little is known for certain and who almost disappears after 1578, as though the name were an assumed identity for someone else. If so, George Best - who himself flouted official orders by making information about the expeditions public - may have known of the ruse, for he endorsed Stafford's role on the crew of the Aid and was related to the Stafford family. Philip II's interest in Frobisher's voyages lasted only until it became clear that the rock he brought back to England contained no gold.